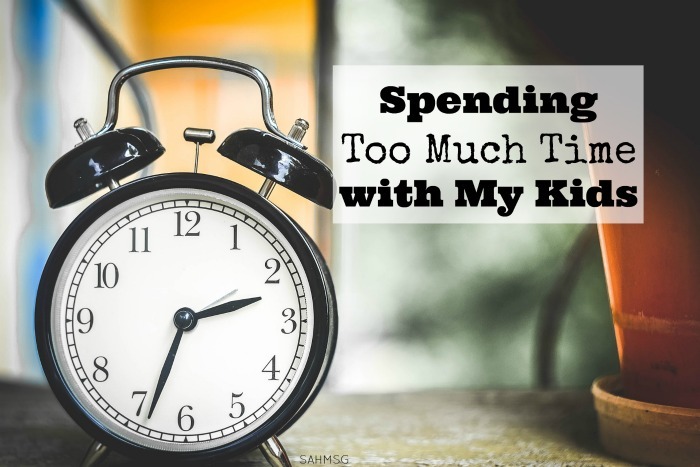 Am I spending too much time with my kids? Quietly I listened to my friend as she poured her heart out. I was shocked to see her cry. I’ve never seen her with her head hung so low. She is the Mama that always has a smile on her face and a happy dance to her steps. 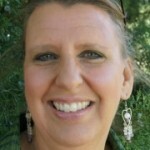 She is a cheerleader for Moms and a playful friend to her children. My friend is creative, active, and delightful to be around. She always has her children at arms length. She is committed to the well being of her children and she seems to spend most of her time with them. She loves to talk about them whenever we are together. I don’t remember a time when she left her children with a babysitter or family member or her husband. She always turned me down when I asked her out for dinner or a shopping adventure. When I go and visit her we hardly get a word in without her kids getting in the middle of our conversation. Not once did she mention to me that she needed time away from them. I have a hunch that she is burned out because she doesn’t take time by herself to refresh and refuel. I’m pretty sure she is on empty. After she broke down crying in my arms, I asked her why she doesn’t ask others to watch her children so she can have some time to herself. I wasn’t surprised by her response. She made it very clear that her children need her and they don’t do well without her. I’m sure we all have felt this way from time to time. Yes our kids do need us. But our kids will be o.k. if we need a moment to ourselves, or if we leave them with a trusted babysitter. It is unnecessary guilt that keeps us from resting, being still, taking time alone and away. We must care for ourselves in order to survive as stay at home moms. I’m convinced that the devil deals us guilt cards every time we need or want to take time to do something without our children. He wants to isolate us and tire us out so he can rip us apart. I have had mommy breakdown moments from time to time like my friend. I have been burned out. Not because of my kids, but because I stopped taking time to be with God and listen to Him. I didn’t give myself time to reflect and process on why I do what I do. I just kept going and going with no stops on the way to make sure I am going in the right direction. Guilt is unnecessary and holds us hostage if we let it. God doesn’t sit on His throne condemning me when I’m needing time away from the kids. He knows that I’m passionate about my children. He has good plans for my life and He will protect my family. I’m good enough because He says I am. I have nothing to prove and my works mean nothing if I do not perform them in love. I’m becoming more intentional with my time. Our daily schedule includes time for mommy to be alone and I stick to it. My kids are getting used to it. This is easier to do now that they are older. I know this is hard for moms with toddlers and infants. I remember those days. They do not last forever. Parenting is the most important job we will ever have. Children are our treasures and we are blessed. It’s important that we fuel up every day. We can’t do well when we are on empty. Our children need us fully present. After I shared these thoughts with my friend, she decided to leave her children with a caregiver one night a week to go fishing by a lake. There she rests, reads, and prays alone with her fishing pole and worms. I’m so glad to see her back to her upbeat self and now she joins me for fun outings. It’s so nice to have an adult conversation with her. She is filled with wisdom and has a great sense of humor. Please take time out and rest in God by yourself. 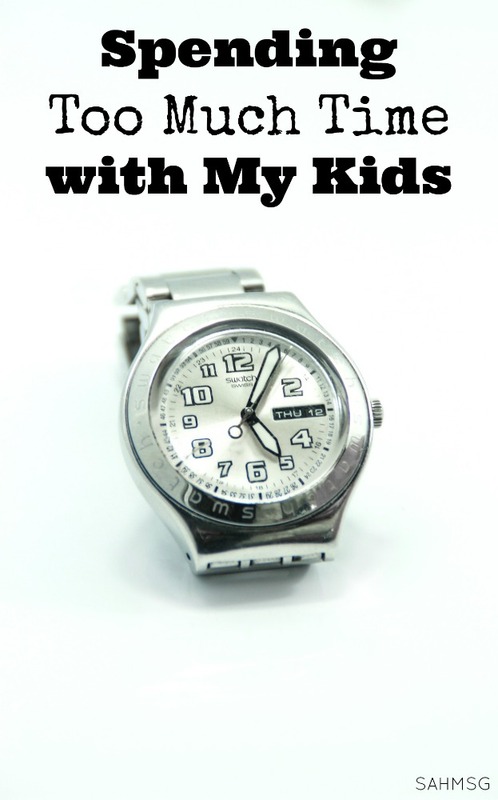 Ask Him what He would have you do with your time away without the kids. He wants to bless you. How do you fit in a moment or hour alone each day? I was forty when I got married. I had my first child in 2008 and my second child in 2010. I am not a young mom. I’ve been married since 2006 to an amazing man that is my best friend. I’m so in love with him. We live in Colorado with our son and pretty little girl. Before I had children I was a Preschool Teacher. Now I’m a Home School Teacher. I write to encourage and inspire. Life is messy and sometimes makes no sense. I don’t have all the answers or claim to have it all together. I choose to live for God because He has blessed me so much. I’m learning that I don’t have to be perfect. I’m loved by God just because and so are you. My hope is that my stories about parenting bring laughter on the hard days when you feel like pulling your hair out. My posts are meant to help you hang in there when you feel like giving up. Join us at Me Too Moments for Moms to connect with other moms seeking faith and joy in this season of life.